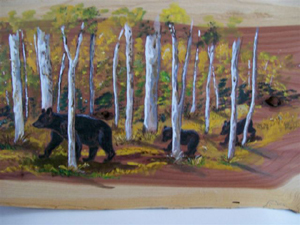 Born and raised in Michigan, my husband and I retired to Mountain View a few years ago. 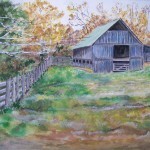 My new studio is a replica of the old “Herpel Post Office”. 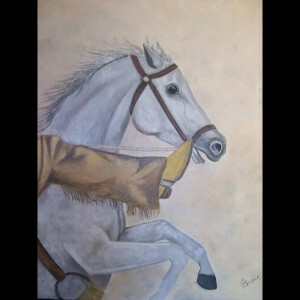 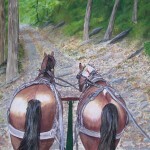 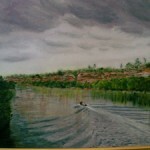 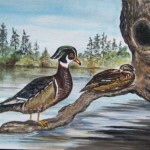 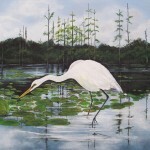 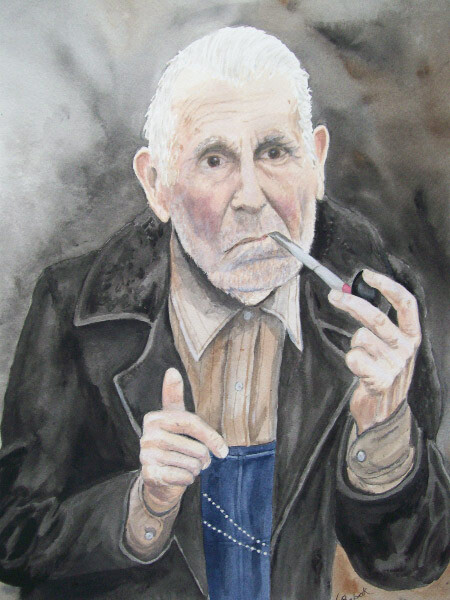 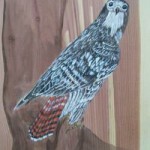 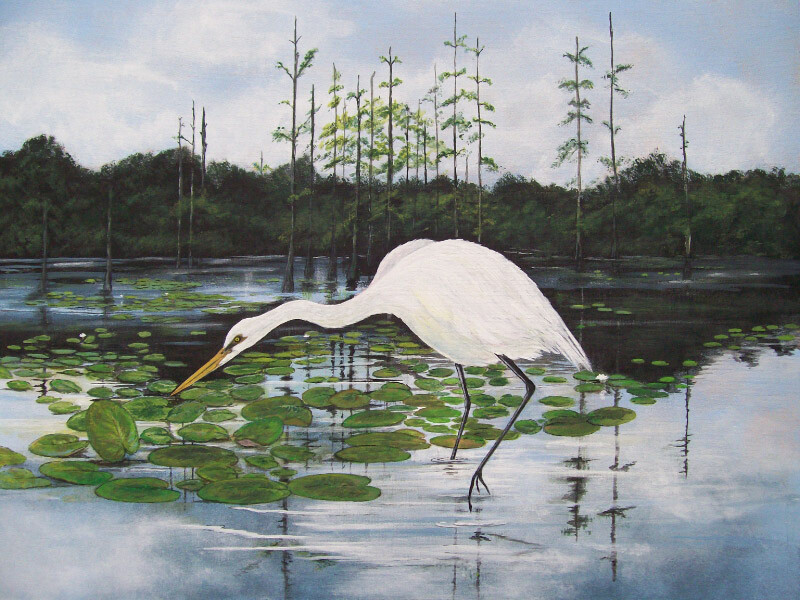 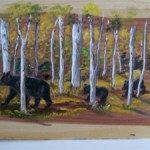 As a self-taught painter, I have been creating and selling my work throughout the United States. 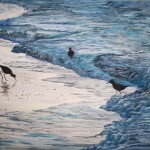 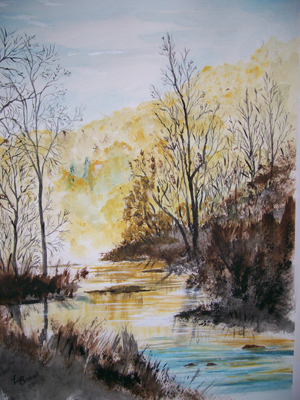 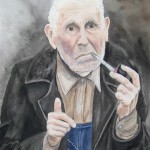 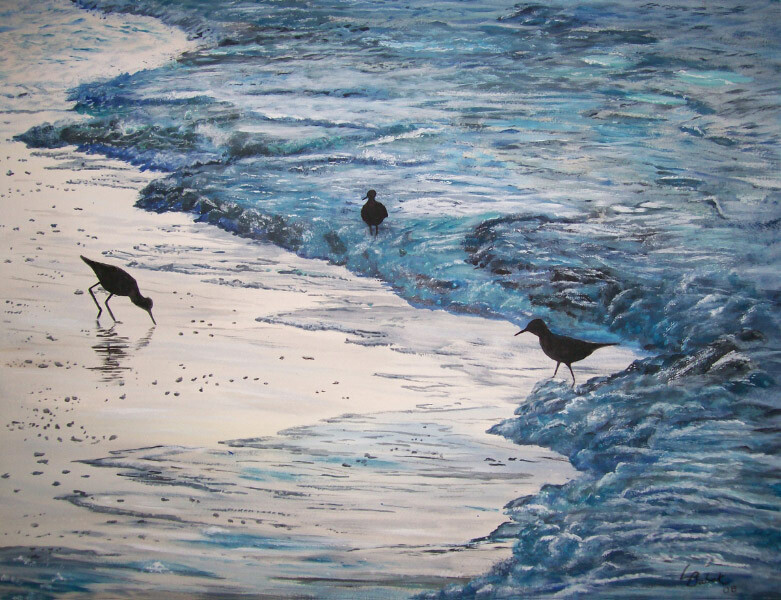 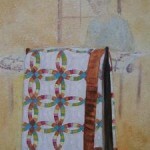 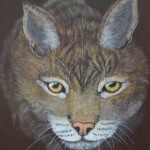 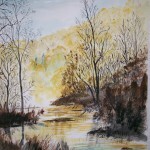 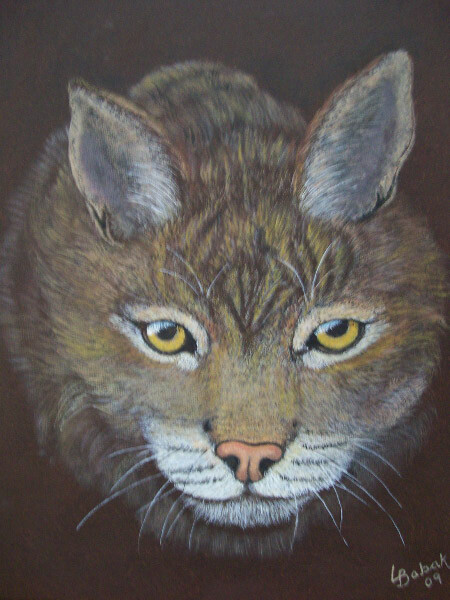 I work in several mediums including oil, water, acrylic and acrylic wash. 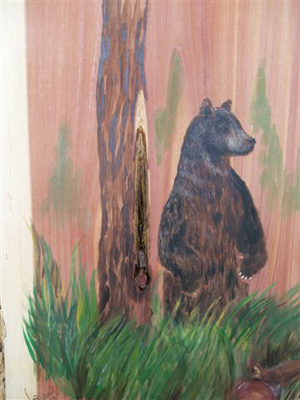 Since moving to Mountain View, I have started painting on wood. 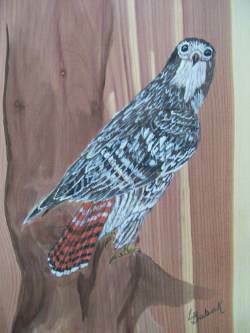 Wood seems to be a natural for nature paintings. 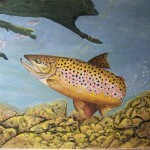 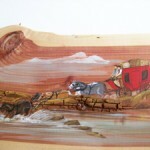 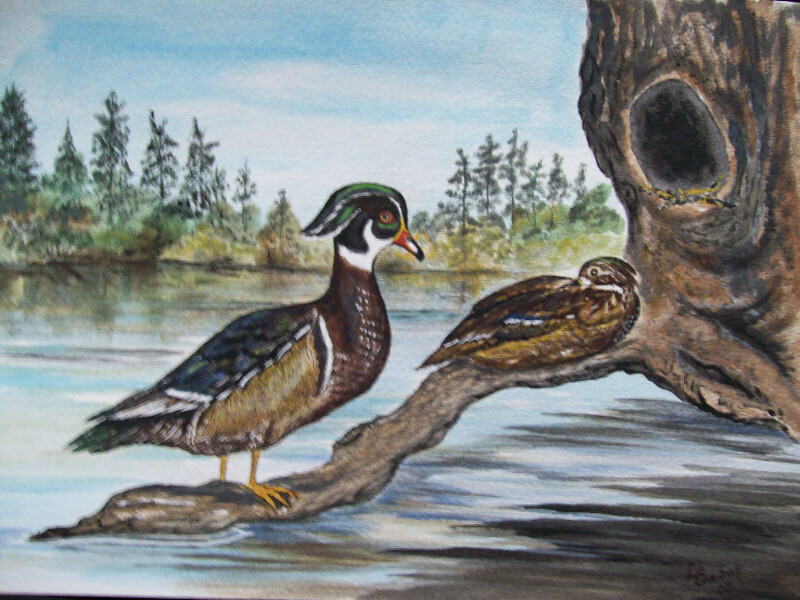 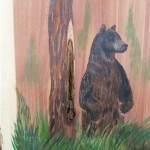 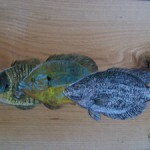 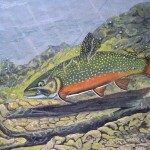 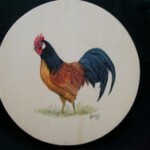 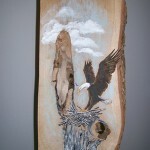 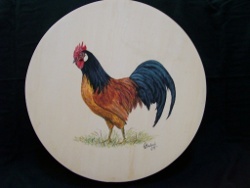 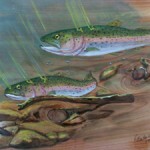 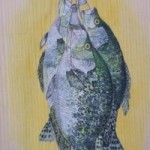 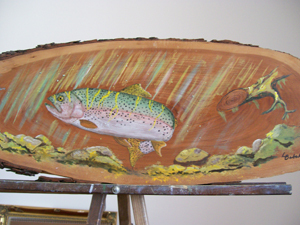 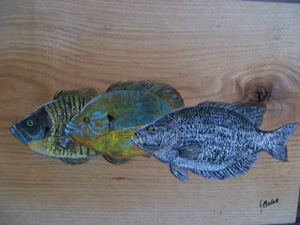 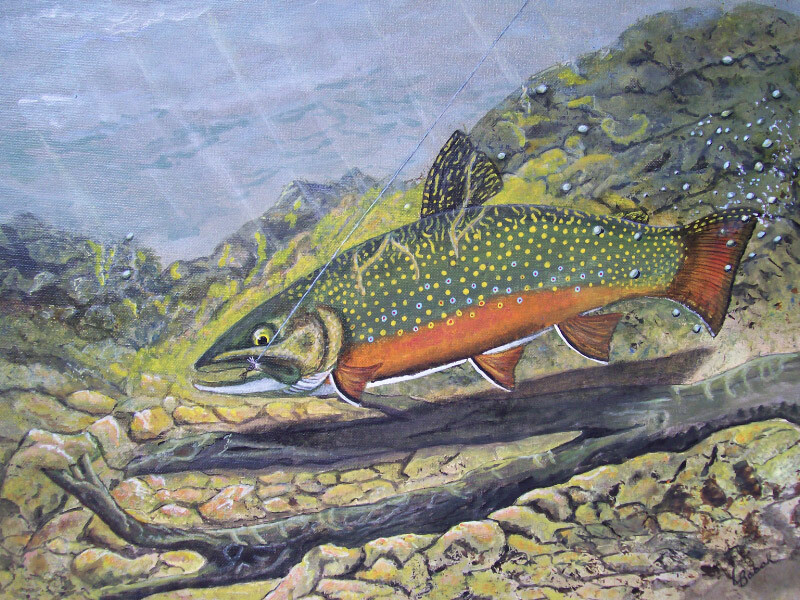 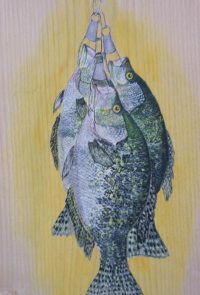 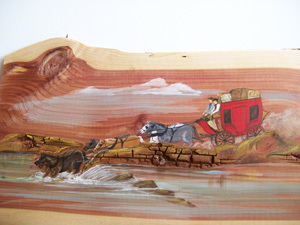 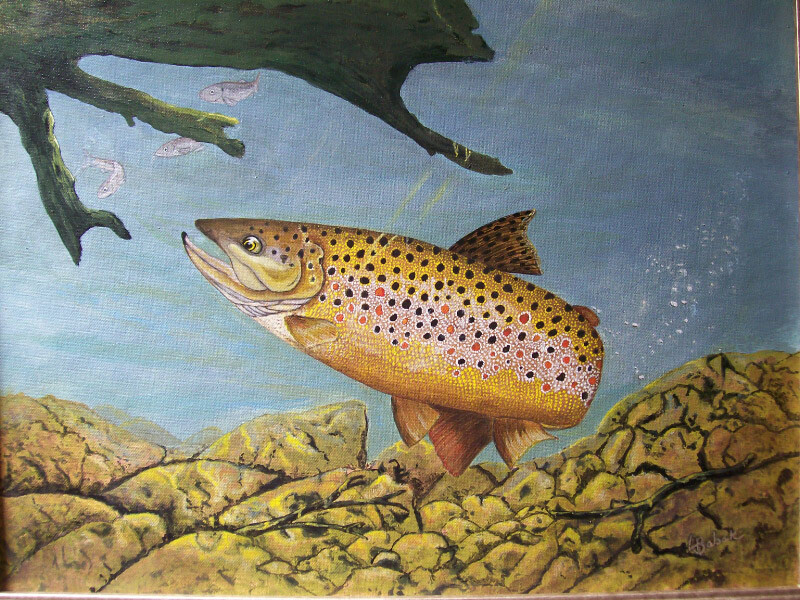 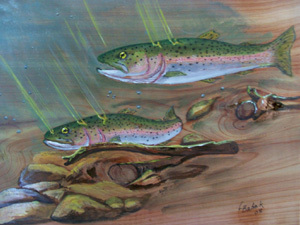 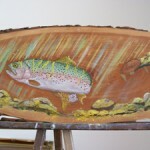 I like doing scenery, but painting animals and fish on wood makes very interesting scenes. 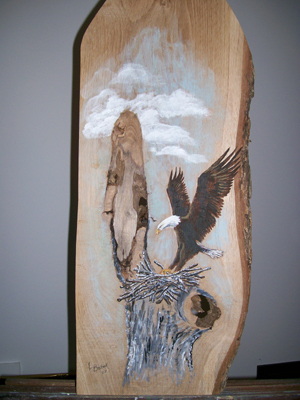 It’s fun to incorporate nature’s flaws (knots, etc.) 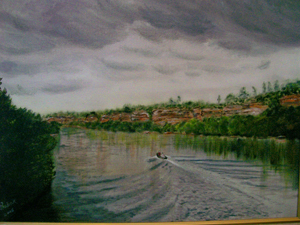 into a painting. 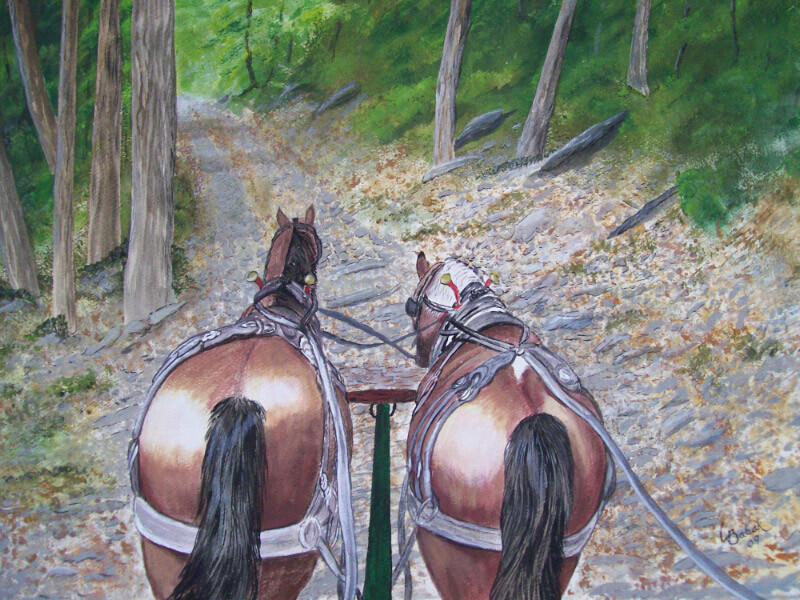 This makes them truly one of a kind. 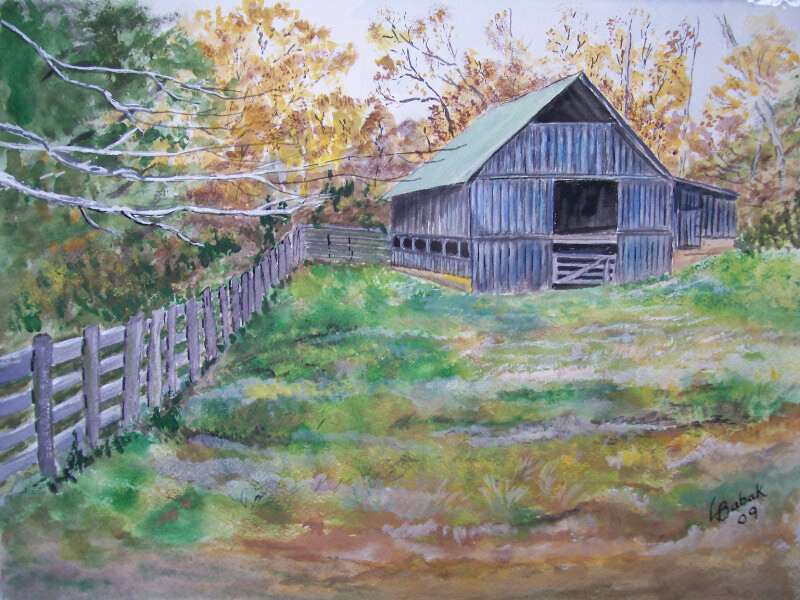 We feel that we have been fortunate to find such a unique spot in Stone County to build our home with the bluffs, creek and wild life to feed the imagination and we have truly been blessed. 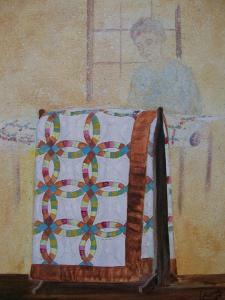 I look forward to sharing my studio and creations with each of you.